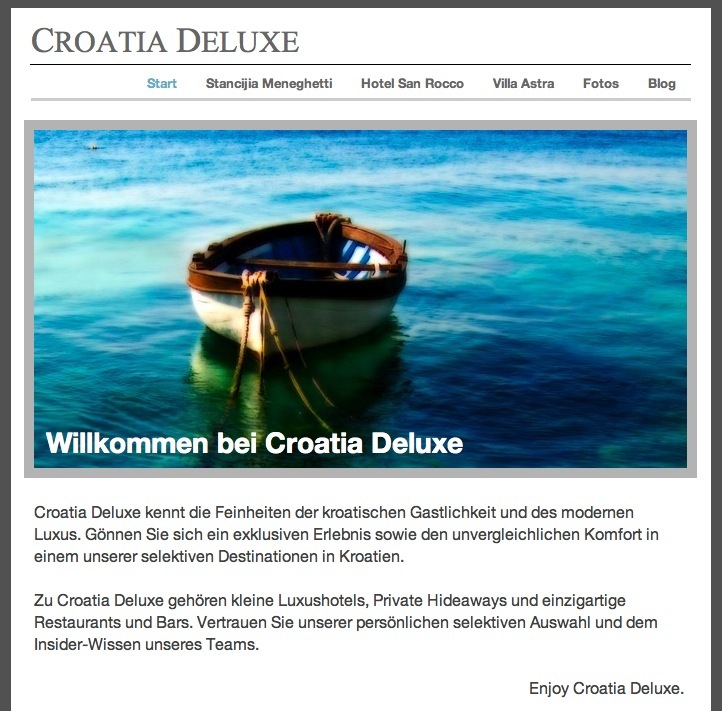 Katarina and I started a small project called “Croatia Deluxe”. This summer we traveled around in Croatia a lot and found some exclusive location which we want to share with our friends: delicious restaurants, luxury hideaways or hotel and some cool bars. 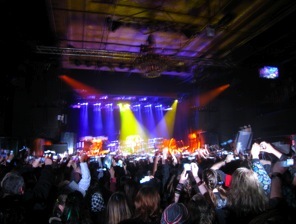 We are selecting each recommendation very careful and we will add locations step by step. Everytime I am staying in Hamburg I am looking for cool Hotels to stay. – East Hotel: Exciting Lobby, Bar and Restaurant – very stylish and the first five star hotel next to the Reeperbahn. An absolutely must see in Hamburg. 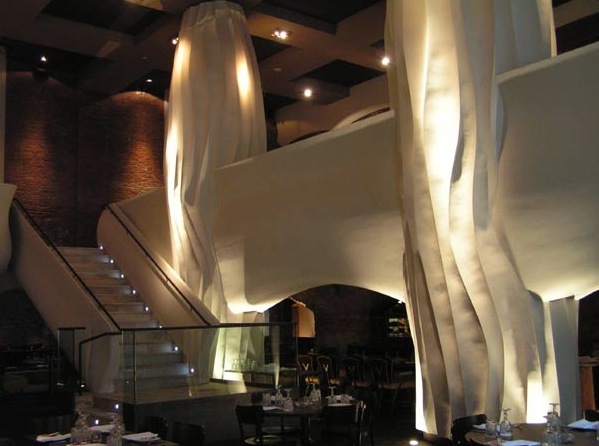 – 25hours: Nice Designer Hotel with cool interior and free wifi. – Side: Stylish Hotel with a great terrasse in the heart of Hamburg. – Dorint “Alter Wall”: Nice Spa area and directly in the city center. Last weekend we stayed at the Villa Astra in Lovran near Opatija in Croatia. The Family owned Villa was renovated a couple of years ago and is managed by the Family Martinko. It is the perfect hide-away for a relaxing stay with delicious food and perfect service. The small fice star hotel offers 6 well-designed rooms, a pool and a nice restaurant. “Boris” is cooking for you (12,5 Gault Millau Points). Villa Astra, built in 1905, by the architect Atilio Maguolo, is typical of the seafront villas and summer residences commissioned by rich industrialists and merchants in Lovran at the turn of the 20th century. Set in a garden of palms, oaks and laurel, this lovely Venetian Gothic villa, with its terraces and balustraded balconies, was renovated and restored by its present owners in 2002. Perhaps the villa’s most striking features are the exquisite ornamental details of the facade and windows, and the italiante loggia on the upper floor overlooking the pool and gardens. Spacious interiors, polished hardwood floors, rich fabrics and harmonious colours make for an eclectic blend of old world elegance and contemporary design. Inspired by portraits of the Emperor Franz Joseph, the Austrian Room, Croatian Room and Hungarian Room combine graceful dining and innovative gourmet cuisine. This exquisite boutique hotel features a wellness area and outdoor heated pool. 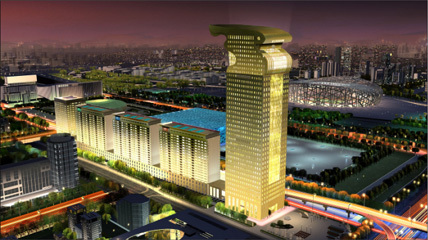 For the best view onto the Olympic Green you definetily have to book a room at the Morgan 7 Star Plaza in Beijing. The building is just on the other side of the National Stadium and will be very high. I will travel to China this week to work on a couple of projects with our local chinese team. During that long stay in China I will take my fiancÃ©e and my little son Rocco with me. We will work at the CScout Office in Beijing Central Business District and live at the Kempinski Hotel Beijing Lufthansa Center until 02nd of March 2007. 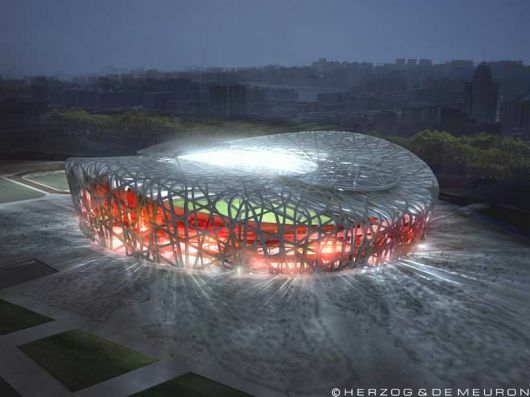 I am looking forward to see the Bird’s Nest – the Olympic Stadium for the Olympic Games in 2008 again. After almost three weeks of Beijing we will travel to Shanghai for further meetings and research. 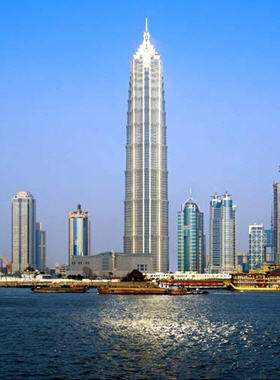 In Shanghai we will visit the great Jin Mao Tower and the cool Hyatt Grand Hotel with its Lobby on the 54th floor and the bar at th 87th floor. If you want to meet me in China – just send me an eMail.